Jodhpur is located at 26°29°N,73.03°E.The walled city or old Jodhpur has eight gates, of which Jalori Gate and Sojati Gate on the south are the most important - the busiest commercial centers surround them. Jodhpur is a beautiful white washed city under the ceaseless vigil of a massive fort of sheer rocky eminence.Once the capital of Marwar kingdom,ruled by rathor warriors,its fascinating long winding streets,palaces,latticed windows through which light filters making varied pattern on ancient stone floors,cenotaphs,temples,lakes and painted ceilings. Kite Festival - This festival is celebrated on the 14th of January and on this occassion the sky is filled with multi-coloured kites of different patterns and dimensions.All age groups fly kites and take on bids to cut each others kite string. Marwar Festival - This festival which falls in the month of October is more of a cultural festival which is only of songs and dances.This is popularly known as Maand festival and the dances and songs mainly concentrates on the romantic lifestyle of Rajasthan's rulers. Nagaur Fair - This fair which is also known as Cattle fair falls in the month of Jan-Feb and it mainly involves trading of camels,bullocks and horses.This is one of the second largest fair happening in India for a period of about eight days.The fair also entertains the crowd by conducting races like camel and bullock races.Other major attraction involves mirchi maket and marets for wooden items, iron-crafts and camel leather accessories. 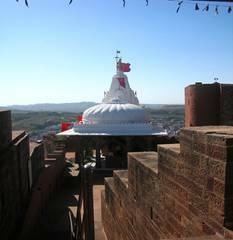 This temple is situated in the campus of the Mehrangarh Fort and the idol here is of Chamunda Mataji.It is believed that the idol was adopted by Rao Jodha from Mandore in 1460.Chamunda Mataji is one of the most visited temple by the people of Jodhpur. 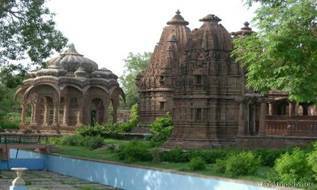 This temple was built by Queen Jadechi Rajkanwar after her husbands death Maharaja Jaswant Singh and the temple houses the statue of Ranchhodji.The main feature of Raj Ranchhodji temple is that most part of the buildng is constructed using red sandstone.It is a worth visiting temple. This temple is located to Lord Shiva.The main feature of the temple is that there is a large reservoir built in the shrine near the idol of Shivlinga and is popularly called as Ganga Bawari.It was built by queen Nanak Devi. between Takhat Sagar hills made it an ideal place for the saints to come and meditate and thats how it was visited by Nepali Baba which led to the Siddhanth Shiv temple. This tempel houses the statue of Lord Krishna,Goddess Radha,Lord Vishnu,Garuda and Hanumanji.There is also the idol of Adi Vinayak Ganeshji.This temple is also popularly referred as Niniji temple which is located off the Udai Mandir road.The temple is built with red sand stone and the main shrine which houses the idols is surrounded by a gallery made up of white stone. This temple is devoted to Lord krishna and it houses the statue of Meera,Hanuman and saint Namdeo.This temple is known for its architecture which is done very artistically. 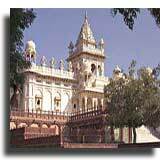 This palace is also popuarly referred as Chittar Palace and it was built by Maharaja Umaid Singh. The main feature of this palace is that it is built using the chittar sandstone. Added to this is the hand chiseled sandstone blocks which have been put together in a special system of interlocking and there is no mortar binding. 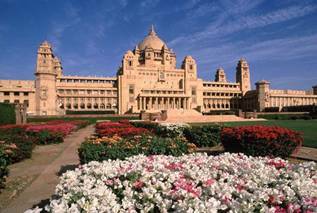 This is built of white marble which is mainly the place of crematorium specially for the members of the royal family. 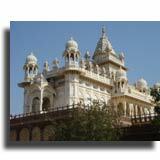 Jaswant Thada was built in 1899 in memory of Maharaja Jaswant Singh II. There are also portraits of the rulers in the cenotaph. This is situtated to the left of the Mehrangarh Fort complex. This palace is known for its octagonal construction and it was built in the year 1663 by queen of Maharaja Jaswant Singh-I, Hadiji.It was supposed to be one of the favourite spot of King Jaswant Singh-II.Though it is used as the income-tax office of Jodhpur,once it was the place where sermons of great peope like Swami Dayanand Saraswati used to haappen.It is situated near the Raika Bag palace railway station. This fort built by Rao Jodha in 1459,is situated on top of a hillock is supposed to be the biggest of all the forts in Rajasthan.The main feature of Mehrangarh Fort is its gates which are seven in number.The gates still bear the marks of the various battles fought in the bygone era. Its second gate still stands witness to canon ball hits by attacking armies of Jaipur during wars. One of the gates is Jayapol, meaning victory which was built by Maharaja Man Singh to commemorate his victories over Jaipur and Bikaner armies. Another gate, Fattehpol, again meaning victory, was built by Maharaja Ajit Singh as a celebration for defeating the Mughals. The Mandore garden was originally a palace with fort.But however today it remains as ruins on the hilltop with garden below.This garden houses the enotaphs of Jodhpur's former rulers.This is one of the public amusement parks which is visited by number of tourists and the main feature of this garden is the high rock terrace. This park in the name of Nehru was built keeping children in mind.This park covers a huge area of 14 acres with fountain, pond, swings, flowerbeds, trees and plants, etc.It is mainly a place for spending the evenings and weekends.This park is located in the prime area of the city. Umed garden not only houses a park but the campus also includes a museum,huge and tall Ashoka trees, artistically designed fountains, a library and a zoo.This garden covers an area of about 82 acres and it is featured with five separate gates for making the entry into the garden easy from all directions.The garden is adorned with lawns and rare variety of flowers.This garden is named after Maharaja Umed Singh who was the founder of this garden. This artifical man made lake is located at a distance of about 7 kms from Jodhpur and it was constructed in the year 1159 AD.This lake gives a beautiful scenic fully surrounded by hills.The bank of the lake has a garden which has more of fruit vegetation like mango, guava, papaya, plum, banana and other fruits. Originally this place where the lake is present now had palaces and gardens, but however in 1872 Pratap Singh demolished this and built Kaylana lake which spreads over an area of 84 sq km.The lake entertains the tourists by boating and also near the lake, the Irrigation department owns a dak bungalow. This lake is located at a distance of about 8kms from Jodhpur. This lake is of main interest especially to the bird viewers for rare species of birds like pelicans, flamingos, cranes, egrets and kingfishers can be seen here. 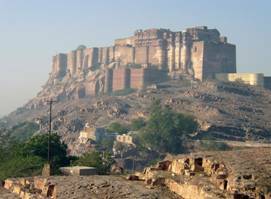 It is located at a distance of about 60kms from Jodhpur. Nestling in the middle of the Umaid Public Garden, this museum houses a rich collection of exhibits - armoury, textiles, local arts and crafts, miniature paintings. Portraits of rulers, manuscripts and images of Jain Tirthankars.There are also a small zoo in this campus. 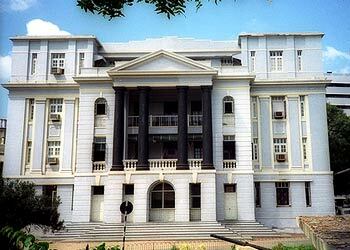 1.Umaid Bhawan Palace Road and High Court Road - furniture and metal work products. 2.Pavement shops leading to Umaid Bhawan - handicrafts ethnic land of mirrors, sequins, beads, textiles, silver, jewelry, instruments, pottery, boxes, carved ducks, metalwork, marble figures, paintings, copper, brass, antique reproductions, ivory, and insignias in white German metal, bed covers, wall hangings, puppets, clothes and old doors. 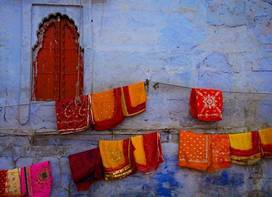 3.Kapraa Bazaar - sarees, Jodhpuri coats,Rajasthani dresses, salwar-kameez sets, yardages as well as block screens and prints used for turbans. 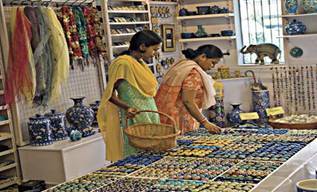 4.Mochi Bazaar & Jutti Corner on Station Road - embroidered “mojris” and “jootis” and traditional local footwear. 5.Sarafa Bazaar - silver junkies & traditional jewelry. Jodhpur has a good road connection linking Delhi via Gurgaon, Jaipur, Ajmer, Beawar and Pali.If you are on a Rajasthan Tour, then you can make a trip to Jodhpur from Bikaner or Jaisalmer by bus or by hiring a cab. The Jodhpur airport is 5kms away from the city centre and it caters by direct flights from Delhi, Mumbai, Udaipur and Jaipur. Jodhpur Railway Station is located on station road and come sunder the Northern railway network of India. It is directly connected with the major cities in India like Delhi, Mumbai, Jaipur and other cities.